Pretoria East, 20 minutes from OR Tambo International Airport. 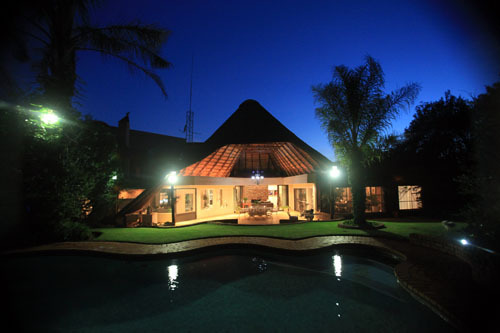 Quaintly nestled suite type accommodation amongst trees inside a large beautiful suburban homestead, this guest house in Pretoria East offers affordable B&B accommodation in Pretoria. 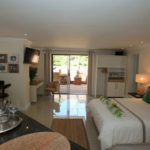 All rooms are air-conditioned, have full DSTV and free High-speed Fibre Wi-Fi. We offer a full English breakfast buffet style. Woodhill Country Club, Rietvlei Nature Reserve and Waterkloof Airforce Base. to get you into a holiday mood or to wind-down from your safari holiday, or maybe you need to sooth your senses as if you are on safari. 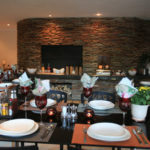 Either way, this guest house in Pretoria East will definitely suit your needs.